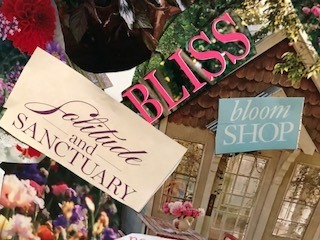 Welcome to my Vision Board Party! 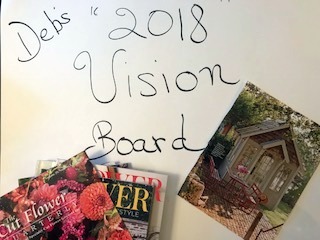 In my last post I invited you to join me in slowly and ever so thoughtfully creating a vision board filled with your hopes, dreams and aspirations for 2018. I hope you’ve been having fun working on yours. If you missed my invite, no worries. There’s still time to join in the fun and send in your boards! 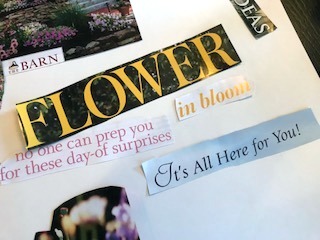 I’m revealing mine today plus an additional board sent in by farmgirl, Joan Brown.There’s no right or wrong way to make a vision board. It’s all about having fun and creating with joy. You simply choose a topic you want to focus on and go for it! 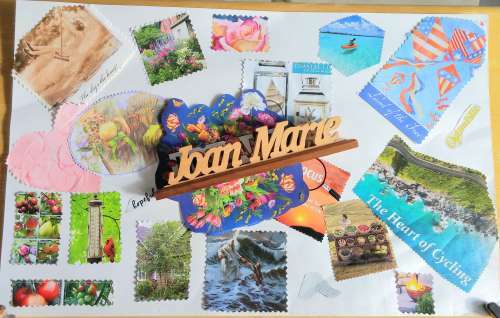 Joan Marie’s vision board oozes refreshing summer breezes with travel, fun activities, relaxation, dappled with hopefulness and simplicity. The way she organized her clippings tells me she is all about simplifying and bringing only those things she truly loves and enjoys into her life. Thank you for sharing, Joan! 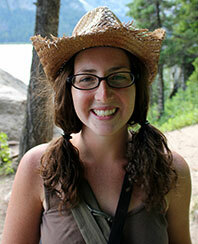 Who knew you could tell so much about a person with a smattering of images and phrases? I think a visual journal really teach us a lot about who we are and what’s truly in our heart of hearts right in that moment. You really don’t need much in the way of supplies. A pile of old magazines, scissors, a glue stick and a piece of poster board. As I mentioned in my previous post, you can make it a party and invite friends or family or you can go it alone. I put on some music, lit a candle and made myself a giant cup of hot green tea with honey and thought of all of you working on your dream boards at the same time! 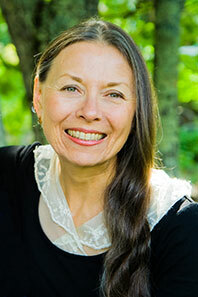 Keep your heart wide open so all of your dreams and desires will pour out easily. 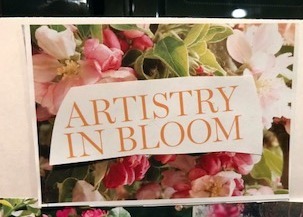 I chose to focus on my career in flowers and words. 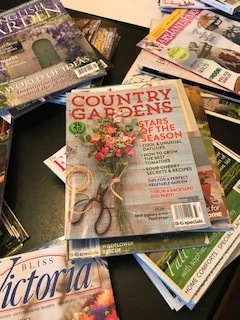 Naturally, I had a boat load of gardening magazines at the ready. Ironically, I had just packed them up in a box ready to donate and I just hadn’t gotten them out to the car yet. Phew! As I started flipping through the pages, words and phrases with positivity and possibility started to jump out at me and inspired me to think in new ways about those words and how I would weave those new meanings into my new year. Something that kept popping up for me was my desire for space. I’ve been longing for a separate space ( away from the inside of our home ) to create, design, teach, write and paint. I think all creatives crave such a space and I aim to make it a reality in the coming year! This image of a garden shed has been stuck to my frig for three years. 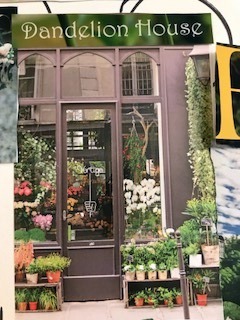 Now it’s part of my vision board, surrounded by beautiful blooms and inspiring, motivational words. An even bigger idea and dream I’ve been having ( I’ve only said this one out loud to my hubby a couple of times) is a brick and mortar retail studio space for meeting with clients, holding workshops and perhaps some retail sales. Wouldn’t that be dreamy? After doing some weddings in 2017, I’m feeling drawn to doing more and am actively pursuing that kind of work. 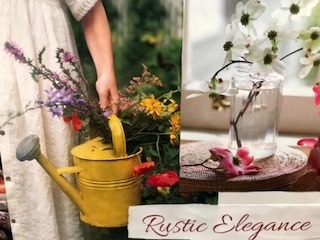 I’ve already taken action by creating a website just for floral design, and a storefront on the ever popular wedding site, The Knot. Inquiries are already coming in! I thought this phrase would be great for a workshop! What do you think? There are so many places I would love to travel to, but good old England is my # 1! I’ve just got to get to the English Countryside someday. Here’s my board in it’s entirety! It’s like a flower explosion! Just what I needed to pull me through the next 8 weeks of a New England winter. 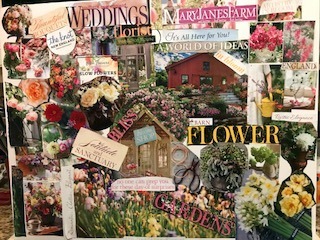 Last, but certainly not least of all, my vision board includes MaryJanesFarm! I couldn’t do without my MJF! As long as MaryJane will have me, I’m stickin’ around for more blogging and Girl Genius features! 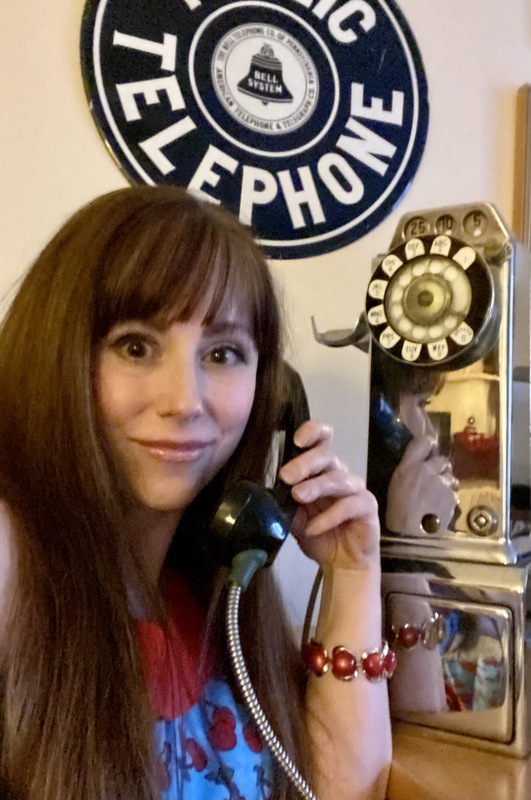 I hope you enjoyed my Vision Board Reveal and you’re inspired to get one started too! It’s never too late! I’m 56 and still DREAMING BIG! Let me know in the comments if you’re working on one now or plan to start one. Until our next shoreline visit, Keep dreaming, planning and doing! I made a vision board years ago. It got tossed when we moved for like the fifth time in about three years. ( I guess my vision didn’t fit into the vision!) 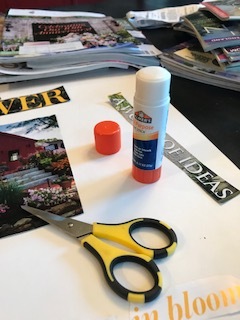 I really enjoyed the process of making the vision board, the bright colored pictures, the glue, the scissors, the old magazines. 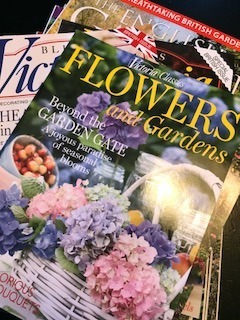 Who does not love to beautiful old magazines of flowers and crafts and fabric and yarn and articles pertaining to all those things we women love. Who does not love to Peru’s beautiful old magazines of flowers and crafts and fabric and yarn and articles pertaining to all those things we women love. My phone posted without corrections (“peruse”) or finishing!!! Maybe I’ll start again on my vision board, as I do have quite a large collection of old magazines now that we’ve settled into our new home!! Thank you for inviting us into the challenge. Well, why not? It’s a fun and purposeful way to spend some quality ” you ” time! 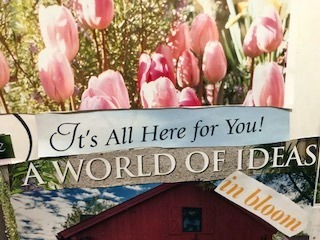 Your vision board is wonderful! 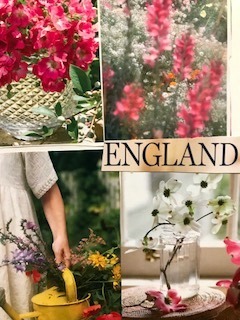 England is on my ” go to” list too, not only for the gardens and everything English , but also for sea glass hunting on the coast. Marbles, pottery any sea things …. flowers, thatch … it all has my heart. Fore sure, Jinx!!! One day we’ll get there! Yours looks wonderful! I forgot about it but I will start on it, you are a inspiration! Great! Can’t wait to see yours! Fun with scissors and glue! I don’t buy magazines anymore and as a quilter I have enough scissors time each week, glue too when I applique. But a year or two ago I was asked to do an online design board of my dream room, using the color bright green. I’m a blue and white person, green was a stretch til I found many beautiful, awesome, pineapple print fabrics . I did my cutting and pasting online, making a Green Room Pinterest board [and blog post]. 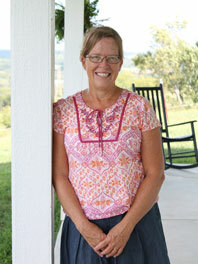 It was very fun, and it did make me want to accomplish a home redo project. Oh if only the budget allowed for more than dreams. What a fantastic vision board. It definitely reminds me of springtime, which I am so ready for. I have a couple of flower seeds I am wanting to plant this year, so springtime will be so fun. Good luck with all your weddings this year. I think it would be so much fun to work in the wedding scene. There is just something so touching to see and feel all the love surrounding each other on those days. Traveling to England has always been a dream of ours as well and luckily we are blessed to be traveling over there later this year. We are currently in the planning process so we are not sure quite yet what we plan to see and visit. One of these days I’ll have to make a vision board. 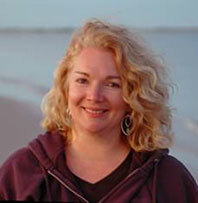 Oh Deb, how I love this! Do you know that I have never done a vision board? I’ve always wanted to and for some reason just never have. I LOVE yours!!! I could hang it in my craft room and stare at it all day long! I think I need to make one with my grand-girls. I have a feeling they would love that project. 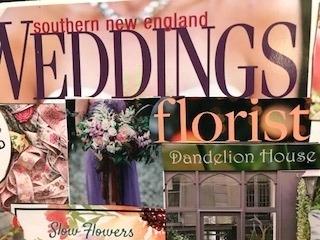 So excited about your upcoming season of flowers and weddings. I can’t wait for it to get here and see all your amazing pictures and incredible inspiration. We are excited for April to get here so we can get the soil tilled and seeds planted. It’s actually close really, but yet it feels SO far away! Oh, I know you would love this project and including the grand-girls would make it all the more fun! I hope you can find time to squeeze it in and share your photos with me at Deb@maryjanesfarm.org I’ll share them in my blog post this month! I feel the same way about planting season. It still feels like an eternity away but it’s really just around the corner! How fun…you’ve inspired me! I sat down with all my favorite clippings and put them in one place. What fun to see everything I love and all my wishes (and wants!) together. 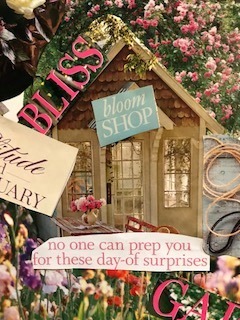 It keeps me on track…ideas for the garden, get-togethers with girlfriends, redecorating inside, recipes, places to visit…the list goes on. Thanks so much for your idea.